On 23 May 2018, a cooperation agreement was signed by J. Stabiņš, the director of the College of Business Administration (BVK), and I. Senņikova, the Chancellor of RISEBA. Based on the cooperation between BVK and RISEBA in the field of studies and research, as well as the similar fields of studies provided, the two educational institutions will cooperate more closely within the BVK Bachelor's first level professional higher education degree programmes Accounting and Financial Planning, Commercial Activity, Personnel Psychology and Human Resources Management, and Management of Micro, Small and Medium Enterprises and RISEBA Bachelor’s degree study programmes Business Studies, Business Psychology, Business in Digital Environment, Start-up Acceleration and Finance, and European Business Studies. This means that BVK graduates will have the opportunity to start their studies at RISEBA at a later stage by aligning their courses. In addition, within the framework of the cooperation agreement, RISEBA will offer BVK graduates a 10 % discount on the tuition fees of the first academic year. 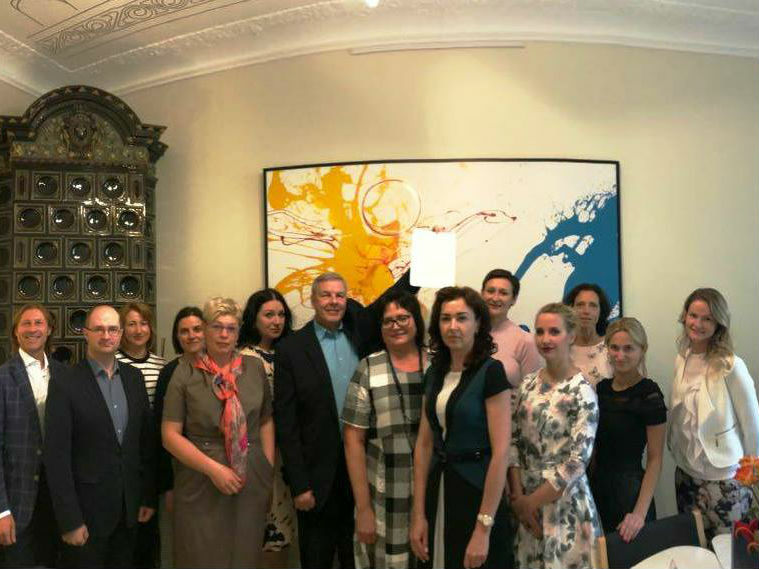 "We are pleased to start cooperation with one of the most modern colleges in Latvia and we are glad to see mutual interest in cooperating in research and creative projects," acknowledged Lūcija Rutka, RISEBA professor and the Dean of the Faculty of Business and Economics.